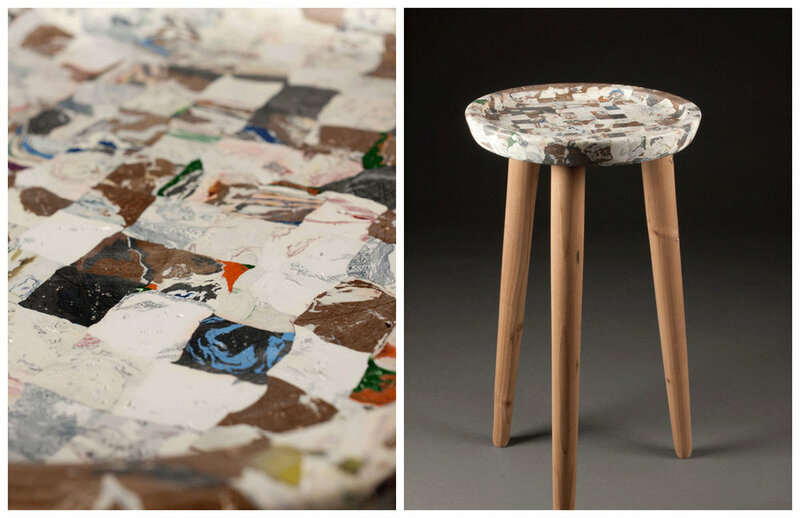 Alarmed by statistics on the amount of trash found in the environment, Carter Zufelt created Mull a process that transforms plastic bags into beautiful, one off, designer, furniture pieces (see Fig 1. and Fig 2.). His technique reworks and remelts the plastic several times before finishing the material with traditional wood working tools and techniques. Fig 1. Carter Zufelt. Mull 2016. HDPE plastic bags, timber. Fig 2. Carter Zufelt. Mull 2016. HDPE plastic bags, timber.